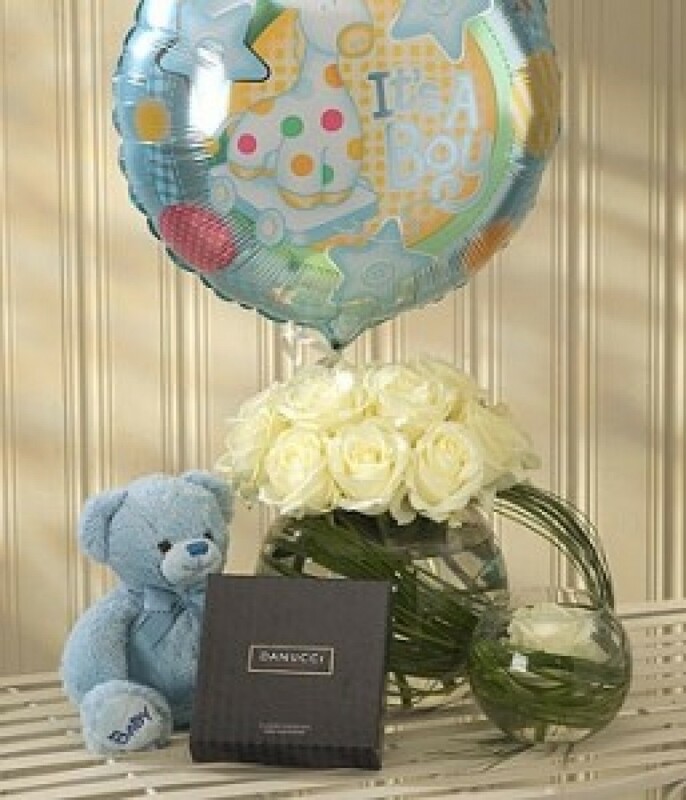 A stunning gift for the mother and baby. Beautiful cream Roses in a glass vase connected to a mini glass vase containing a single Rose for the baby. Includes a balloon, teddy and chocolates.